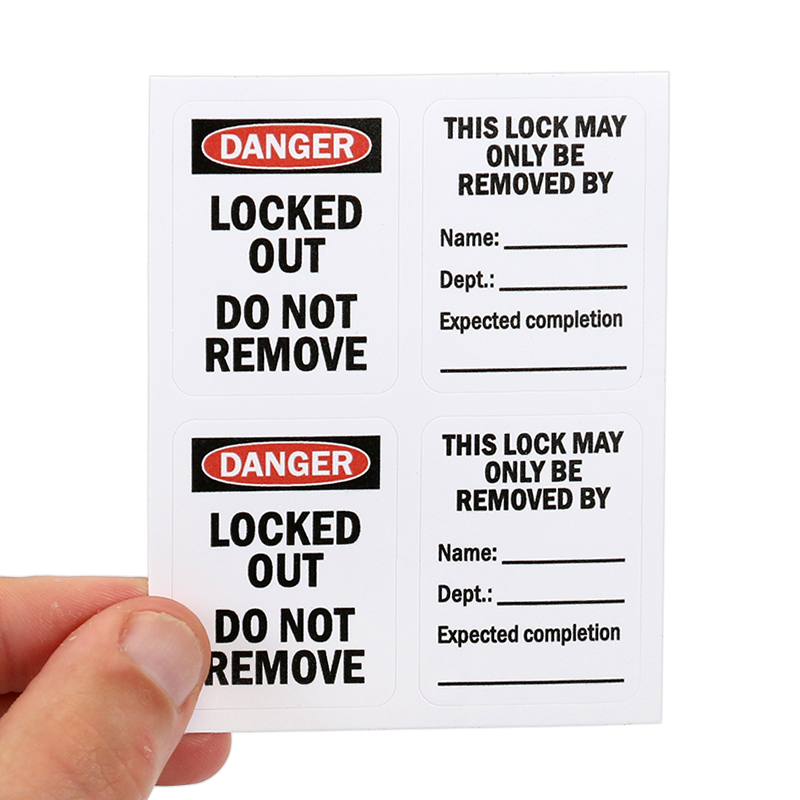 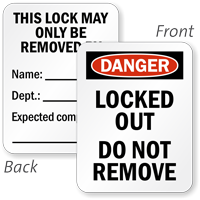 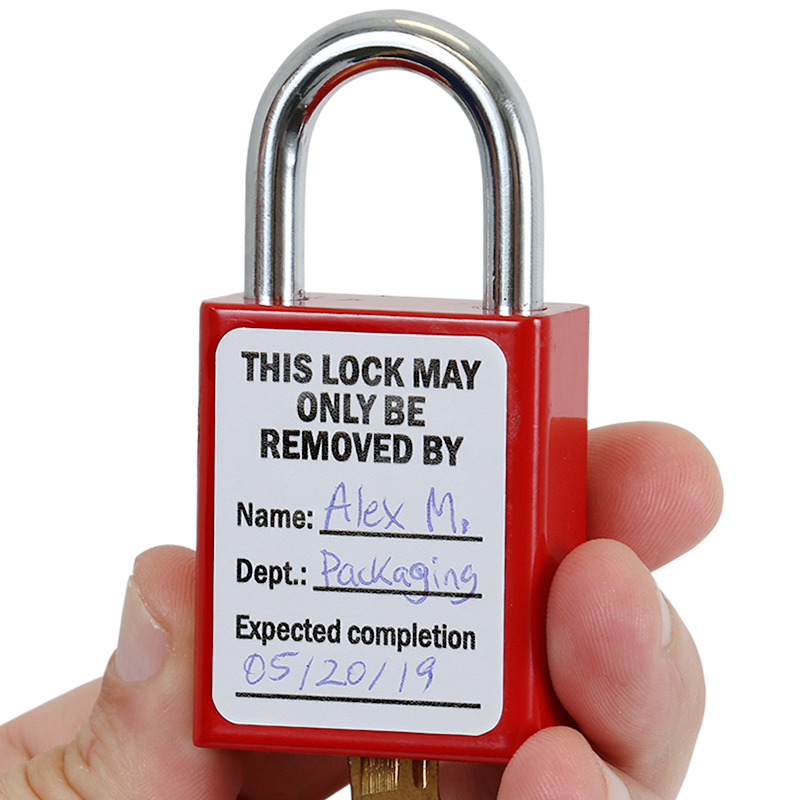 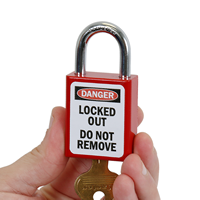 This 1.625" x 1.25", Locked Out To Be Removed By padlock label set has sufficient space to mention lockout details. • Perfect for Master Lock No. 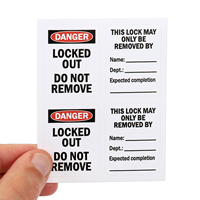 6835, S6835 & American Lock No. 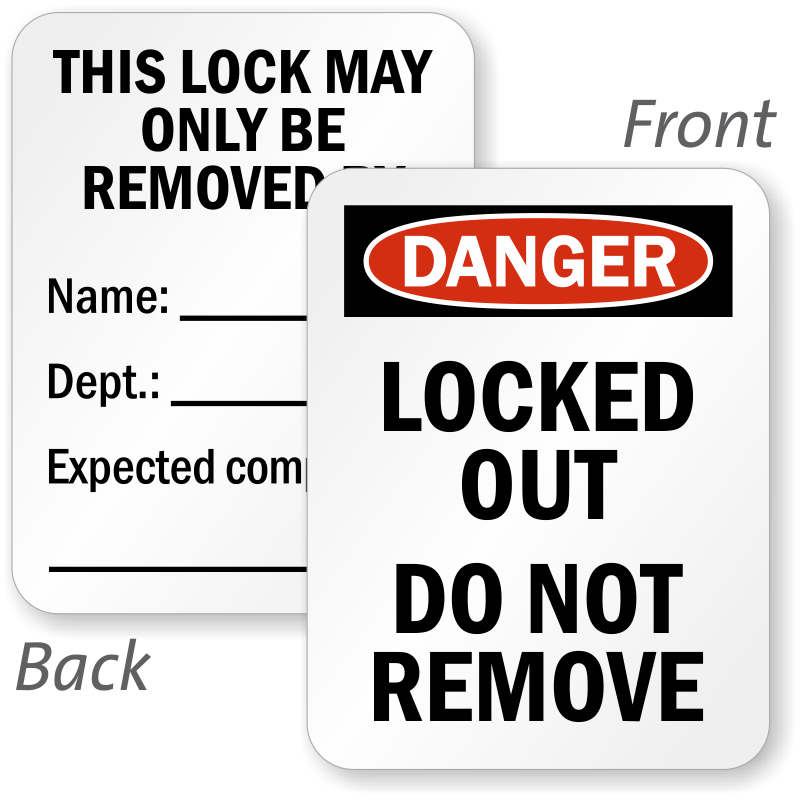 A1100 and S1100.